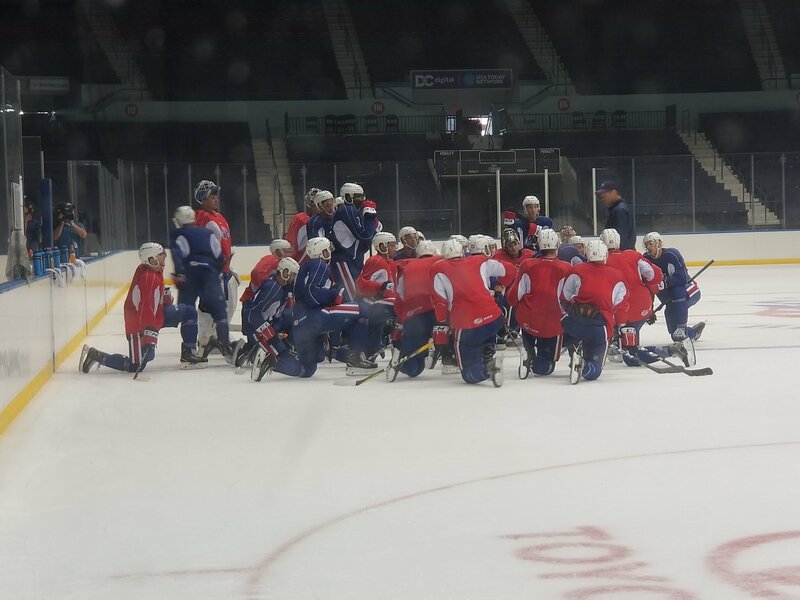 Amerks Hockey Returns - Training Camp and Preseason Schedule · Let's Go Amerks! The long off season is finally over and we have the training camp and preseason schedules for Rochester Americans hockey. Training camp will start on Monday September 24, 2018 at Bill Gray’s Iceplex in Rochester. The first preseason game will be Thursday September 27, 2018 at HarborCenter in Buffalo. We’ll see new names along with returning names to the 2018/2019 roster that should bring success in the standings again with the goal of a successful playoff run. Two names we won’t see in Rochester are Linus Ullmark and Colin Blackwell. Ullmark has graduated from AHL hockey and will be a Buffalo Sabre full time. Blackwell signed a two-year contract with Nashville. Kevin Porter, Nathan Paetsch, Zach Redmond, Andrew MacWilliam and Adam Wilcox are five players from last season that will be back in an Amerks uniform. Group 2 Practice Session at 12:00 p.m.
Non-Playing Group Practice Session at 11:00 a.m.
October 1 through 5 schedule TBA.